Upgrade SINGAPORE AIRLINES LTD (SGX:C6L) to BUY from HOLD and raise Target Price 14% to SGD11.20 as we raise P/B multiple to the historical avg. from 1SD below due to lower risks to growth. Our revised Target Price is based on 10-year P/BV mean of 0.94x vs. 0.82 previously. We estimate 3QFY19 (out Feb-19) core net profit of SGD316m (+14% y-o-y, +80% q-o-q). 3QFY19’s overall load factor eased by 0.3ppt y-o-y and q-o-q to 76.1% and we expect yields to continue its downtrend (-1.1% y-o-y), but lower fuel price (-3% q-o-q) has more than offset this. We raise SIA's FY19-21E earnings by 33%, 37% and 17% respectively to factor in lower fuel price, better yield outlook, its latest traffic-growth plans and USD/SGD estimates. Overall traffic (passenger + cargo) in 3QFY19 grew 3.9% y-o-y. Load factor receded by 0.3ppt y-o-y to 76.1%, which is still considered high by historical comparison. We believe management’s strategy to consolidate Silkair into the parent airline is a wise decision. They have done this before with merger of Tigerair into Scoot with great success. This will create clear demarcation between the premium and budget segment. We expect traffic growth momentum to slow going forward due to market maturity and based on management’s latest growth plans. 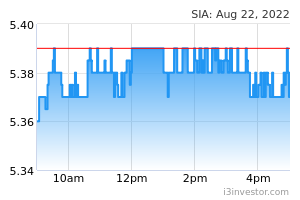 SIA has hedged up to 46% of its fuel needs up to FY23 at reasonable levels (USD57-64/bbl Brent), which provides some cost stability and lowers operating risk. Our revised earnings forecasts are now above consensus. 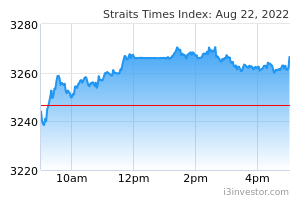 We think the market has not priced in SIA’s operational resilience and the benefit of a lower fuel-price environment. Furthermore, we are optimistic its efforts to consolidate operations will yield cost reductions. Its dividend yields of > 4% are also attractive and above peer average. Passengers carried by the Group grew by 6.3% y-o-y to 9.3m in 3QFY19. This is above its long-term average of 5% growth (excluding the Tigerair acquisition y-o-y comparison), which suggests passenger traffic growth was very healthy. The growth in cargo carried shrunk marginally by 0.6% y-o-y in 3QFY19. The Group passenger load factor grew by 0.7ppt y-o-y to 82.8% in 3QFY19 (Oct-Dec 2018). Cargo load factor was down by 2.3ppt y-o-y to 66.0% in 3QFY19. The cargo segment performed exceptionally well over the past three years but there has been a noticeable decline in 3QFY19’s performance. Passenger yield has been on a persistent downtrend and it’s currently hovering at 15% lower than its historical average yield of SG11.8 cents/km. Cargo yield however staged a recovery back in FY17 and is currently hovering above its historical average yield of SG31 cents/ton.km. Historical observations suggest that passenger yield tends to track cargo yield movement with a 2-3 year lag. If this trend repeats itself, it would suggest that the passenger yield downtrend is close to bottoming and could stage a recovery.